Dubai, United Arab Emirates, 01 August 2018: Our lives get increasingly busy as we balance our work, social, and family life while at the same time reserving some free time for ourselves. While balancing all of it might seem stressful, what will give you a sense of relaxation and personal uplifting is your attire as you juggle your way through life. Max’s new collection is meant just for that. The new City Slick Collection brings in the best elements from work, street, and casual fashion to suit you for every occasion. Whether you’re at work or at a cocktail event, or just a simple dinner, the City Slick collection has what you need. The collection features various designs and combinations perfectly aligned to suit any occasion. Polka Dots is a theme that the collection maintains and along with casual stripes, you have a classic yet unique style never goes out of fashion. Add some accessories such as a funky necklace and you truly have a combination that send a strong message reflecting your inner personality. 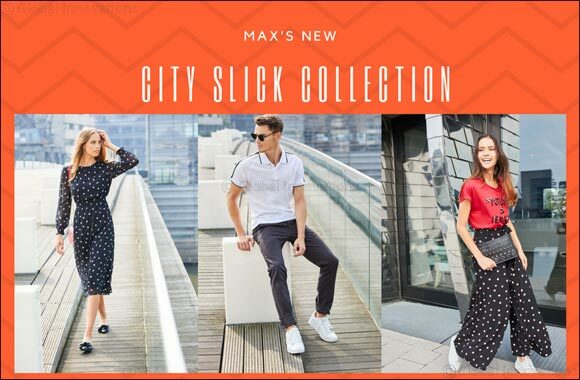 The new City Slick Collection from Max Fashion is available in all Max stores and online.